After spending the last few days having to have complete rest due to recently overdoing it, I was going a bit stir crazy in the house and needed some fresh air. With the Bank Holiday washout putting a dampener on most people’s holiday plans, I donned my fabulously colourful wellies on and headed out for a soul stroll. One of the best things about walking in the rain is how Mother Nature comes alive. I love the flowers bursting with vibrant colour and the lush greens of the grass, the bushes, and the trees brought to life. I also love the wonderful earthy scent in the air, which even has its own name: petrichor. How brilliant. But the best thing has got to be the puddles. 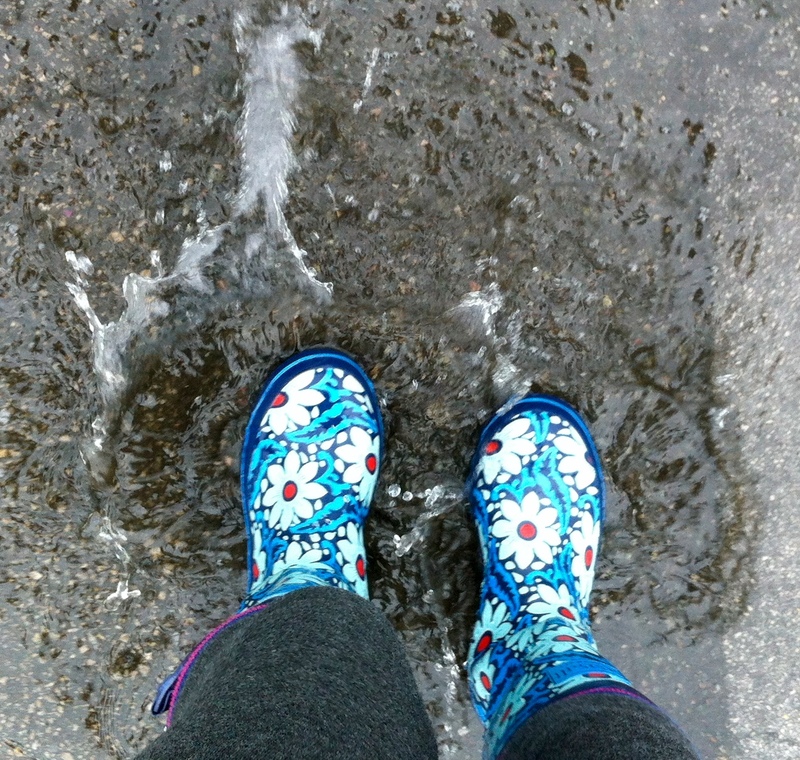 I rediscovered my inner child as I jumped in the puddles, giggling as I went along. It was so much fun, I felt so joyful and my spirits were instantly lifted. What made it even funnier was that the puddles were alongside a busy road, and cars were passing me by as I jumped in and out with glee. But I didn’t care. In fact, I didn’t have a care in the world. I returned back home with my spirits soaring, and my heart happy. So with this in mind, my happy for today is being grateful for the joys of jumping in puddles. I’ve loved petrichor for many many years, and did not know what to call it. great fun you had. I’ll take rain to sunshine any day.